Acting like a child in the snow. My colleagues here think I’m rather strange. (How did they get to know me so quickly?) 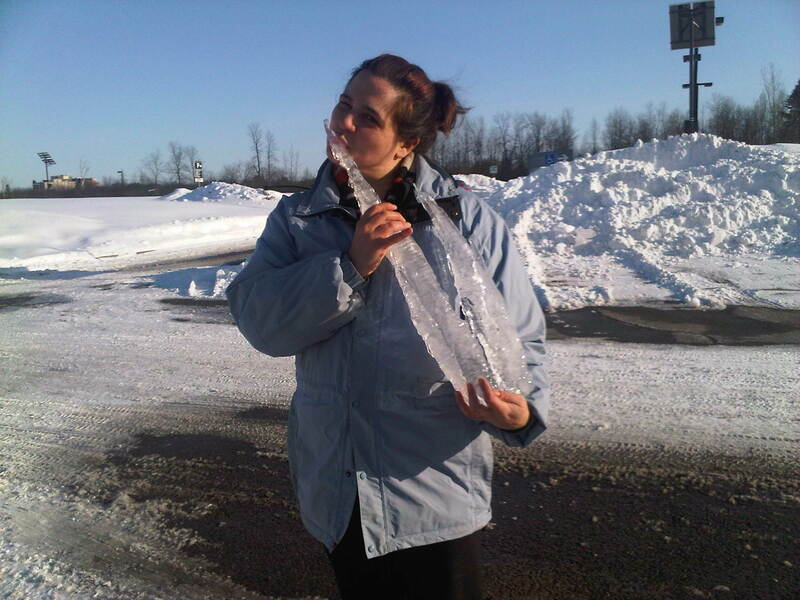 I clapped in excitement at the falling snow, plopped down after training (while waiting for a cab) to make a snow angle, and convinced a colleague to help me get an icicle to lick. Before I leave tomorrow I still hope to cram in a tour of the Governor General’s residence or failing that maybe a quick trip to the War Museum. 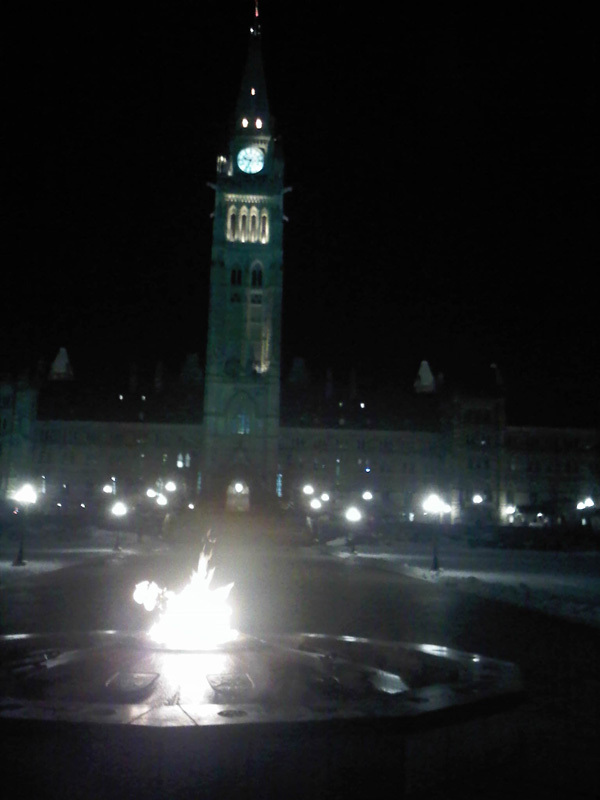 For those of you who read my writing goal from a few days ago I wanted to report that the plane trip to Ottawa was very productive for writing and I hope the same will be true of the ride home, but I am still a few days behind. Even with the extra day in February I think my goal will slip. However I may be sent to Victoria on the ferry Friday for work; if so I will have another two hours each direction to work on the writing. My new goal will be to finish by the end of this weekend. A heavy snowfall can bring out the child in me. Fortunately I live in a warm climate where I do not often have to fight the urge to slide down snow banks and leave my angelic impression everywhere. Imagine that snow has a similar effect on one of your characters, but for them the urge is irresistible. If they see snow, they simply have to play. How would they handle this special challenge? Would they move to a warm climate and avoid snow? Would they give in and become the object of curious attention? How did their drive to play in the snow develop? Aim to write for twenty minutes. 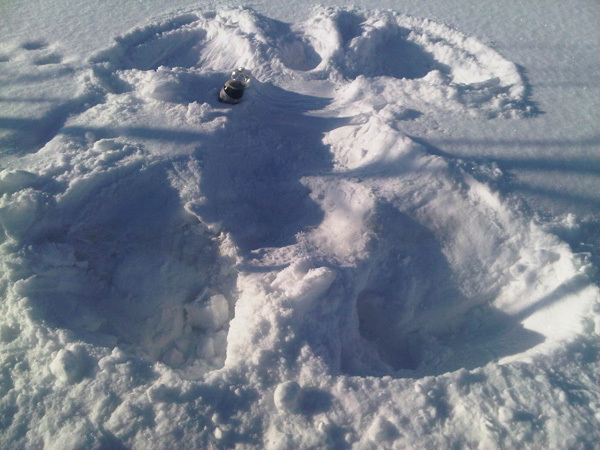 Then if there is snow outside where you live make an angel and send me your picture. Happy writing.